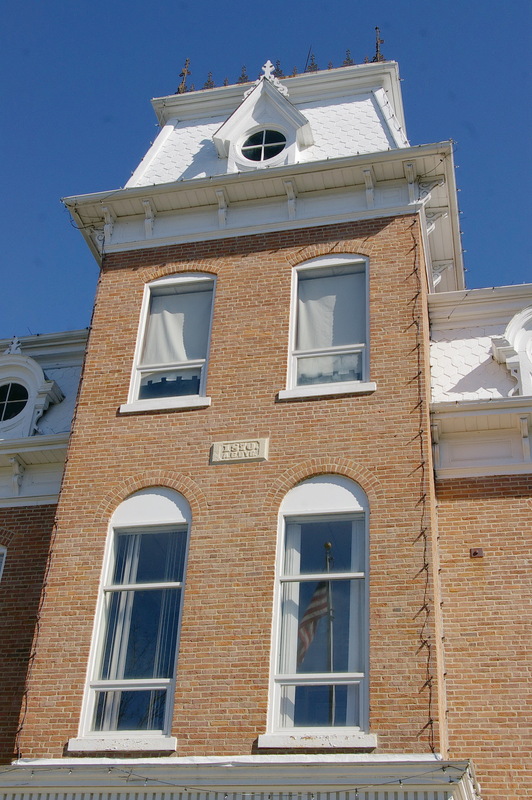 Dent County is named for Lewis Dent, who was a pioneer settler in the region. Description: The building faces west and is a three story brick style structure. 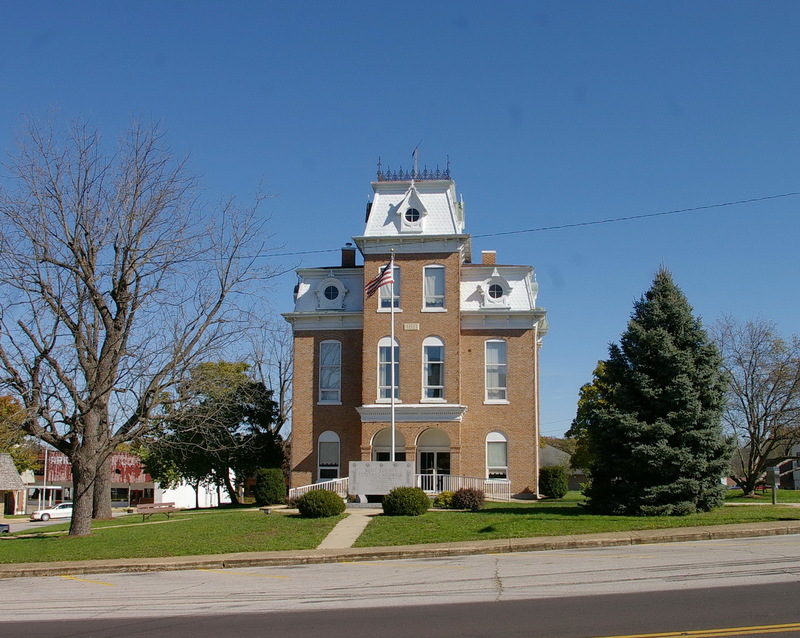 The building has a square tower with mansard roof topped by cresting and open dormer windows. At the base of the tower is an arched entrance leading to a central hall. 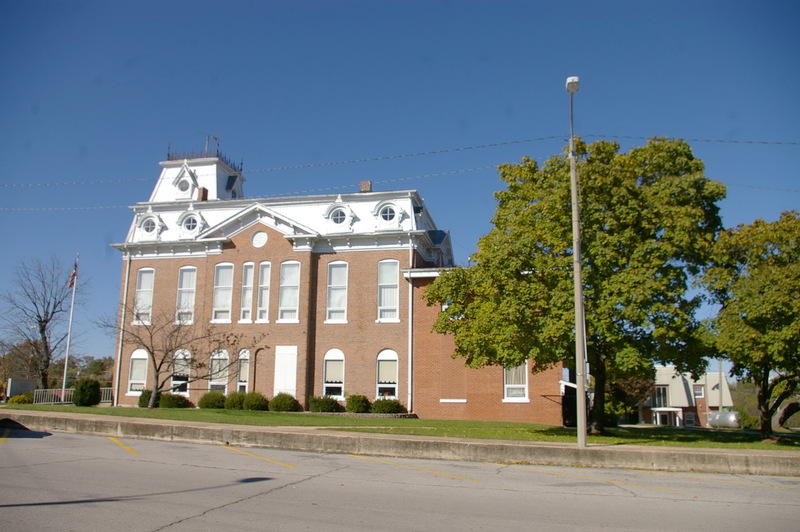 In 1896 to1897, a one story addition was added on the east side and in 1911, the addition was increased to two stories. Renovations were made ion 1976. Note: The first courthouse was built by J T Garvin in 1852 to 1853 at a cost of $800. 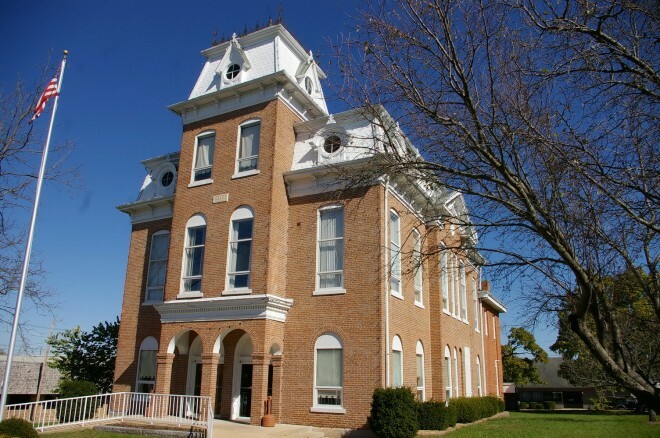 The second courthouse was built in 1864 and burned in May 1866. 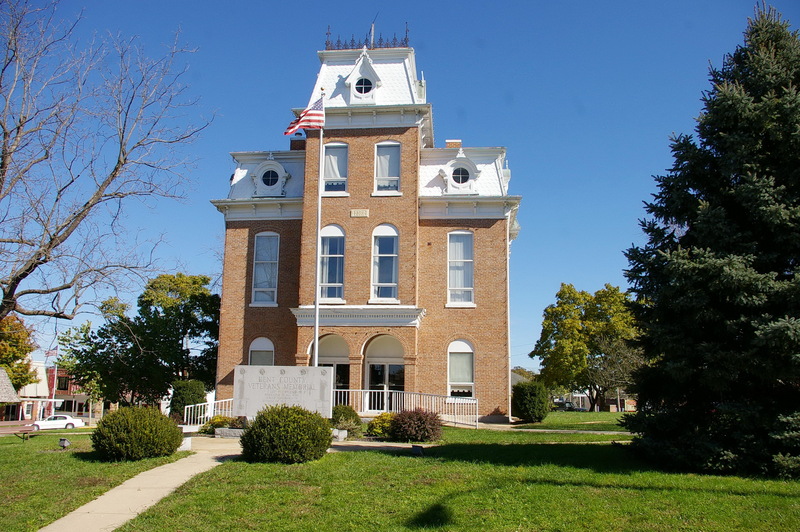 The cost of construction of thr present courthouse was $15,500.